Minister Yuli Edelstein says as long as Arabs invest in terror, there will be no peace. 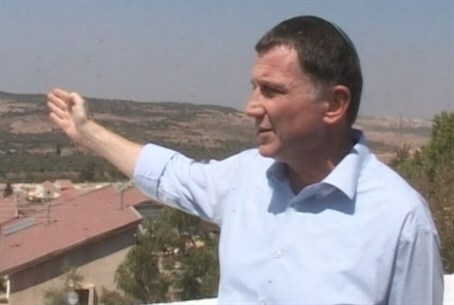 Minister of Information and Diaspora Yuli Edelstein described Arabs in harsh terms Sunday. "As long as the Arab ummah (nation) continues to be a lowly nation that continues to invest in terror infrastructures, in education to hatred and in the welfare of the families of shaheeds," he said, "there will be no peace!" He was speaking at a public diplomacy conference in Or Yehuda. While Arabs and other Muslim officials routinely use derogatory terms to describe all Jews, generalizations like Edelstein's are very rare among Israeli officials. Edelstein also referred to the reports that hareidim in Beit Shemesh attacked and shouted insults at a Channel 2 television crew, calling them "Russian Nazis." "Twenty seven years ago today I was sentenced for Zionist activity [in the Soviet Union – ed.] and sat in jail for three years," he said. "When I hear thugs in Beit Shemesh shouting 'Russian Nazis go home,' I say that this is not what I sat in jail for with my fellow prisoners of Zion! This is not what I made aliyah for!"